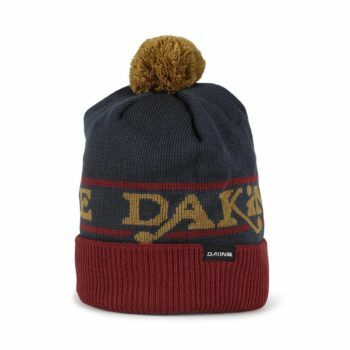 Dakine is an outdoor clothing and alternative-sportswear company originating from Hawaii and founded in 1979. Now based in Oregon, United States, Dakine have become a go-to brand for luggage, backpacks, outerwear and technical equipment. With a focus on quality, the brand has built a reputation for some of the best products in market that are designed with function, style and durability as some of the core values. Dakine have a strong range of team riders and athletes, across 6 sports include skiing, surfing, windsurfing and biking. In addition, their skate team boasts endorsements from the likes of Chris Haslam, Corey Duffle and Willis Kimbel. Care instructions: hand wash with mild soap (like Nikwax Tech Wash), cold water and a soft bristle brush. If hand washing is not going to do the trick, use a front loader washing machine. To ensure your backpack doesn't get tangled, place inside a pillowcase or mesh bag before washing. Always use cold water, mild soap and run on a gentle cycle. Never bleach your pack. Hang to dry in a warm but shady place, ensuring both inside and out are dry before storing. 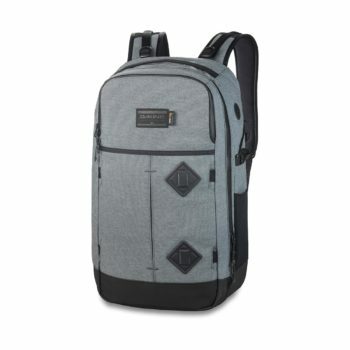 The Dakine Mission Surf backpack the ideal solution for your surf haulage needs, this pack is sure to carry your gear to and from the session. Seam-sealed wetsuit compartment to store and carry your wetsuit with ease. Second zippered compartment with organisation pockets. Ergonomic padded back, shoulder straps with an adjustable sternum strap. Made from 100% 600D polyester. The Dakine Network backpack is the perfect business travellers, or everyday, on the move office life, with plenty of space, laptop and tablet sleeves and organisation pockets, this bag will keep your tech and documents protected, neat and tidy while on the go. Welded, quick and easy loading in the roomy main zippered compartment. RV organiser surface with compartment for headphones and a document compartment to keep your files safe and sturdy, plus many accessory compartments for cables, PC mouse etc. Fleece lined padded iPad/tablet sleeve, plus a padded 17-inch laptop. Ergonomically shaped, breathable shoulder straps and a adjustable chest strap. Made from durable 600D Polyester fabric. 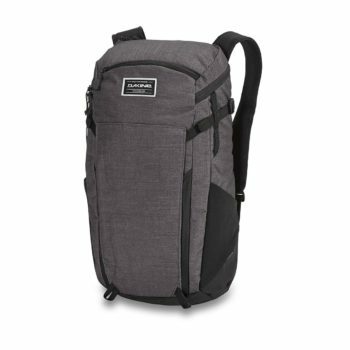 The Dakine Concourse is designed for the on the go commuter, intended for easy access matched with excellent storage capabilities. Top-loading design, with organisation pockets to keep your valuables in check. Quick access front pocket with YKK PU coated zipper. Laptop sleeve fitting up to a 15" laptop or tablet device. 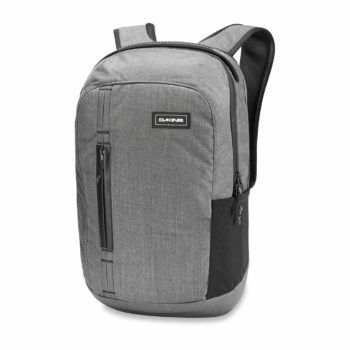 Multiple accessory pockets and an expandable ripstop pocket with cable management. 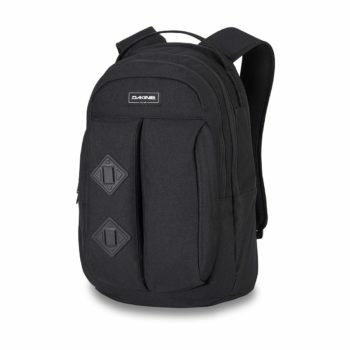 Side compression straps, that can also be useful for carrying extra gear. Headphone pocket and a fleece-lined sunglasses pocket. Ergonomic foam back panel and shoulder straps with breathable triangle mesh, plus an adjustable sternum strap. Made from 100% 1000D Cordura Nylon with Cotton Blend and DWR Coating (outer), 100% 420D Hypatex Rubberized Material (lining). 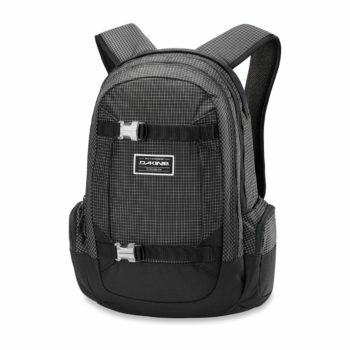 The Dakine 365 Pack is the ideal backpack for all your essential luggage needs, this backpack is perfect for on the go all year round. Large main compartment for larger or multiple items. Padded laptop sleeve, fits up to a 15" laptop or tablet device. Dedicated tablet pocket with fleece lining. Expandable pocket with cable management. Mesh side pocket for fits most drinks bottles. Padded adjustable straps and an adjustable sternum strap. Padded bottom panel for added protection and durability. 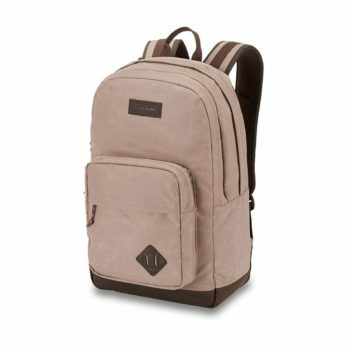 The Dakine Split Adventure backpack takes its inspiration straight from its big brother the Split Roller, making for a travelpack that's perfect for weekend getaways or for those city break missions. 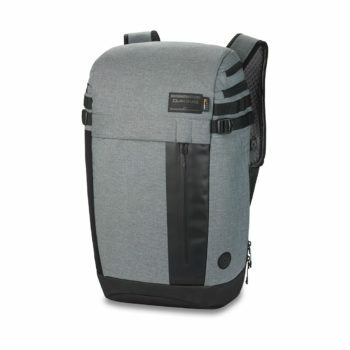 Convenient zippered, split open design, with 2 zippered mesh cover compartments on one side and an open compartment with travel straps in the other. TSA compliant, padded laptop sleeve that fits up to a 15" laptop or tablet device. Foam back panel with padded ergonomic straps and an adjustable sternum strap. Zippered front compartment with organisation pockets and a fleeced tablet sleeve. Dedicated fleece lined sunglasses pocket. Deployable board straps for carrying extra gear. 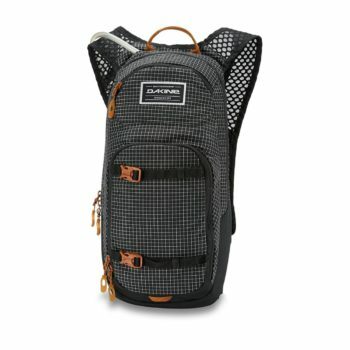 The Dakine Session backpack is a quality hydration backpack, packed with innovative features while being extremely streamlined and low profile. 2L HydroPak reservoir in the main zippered complement, attached to an easy access phaser bite valve that runs down the left shoulder strap. Front zippered compartment with organisation pockets. 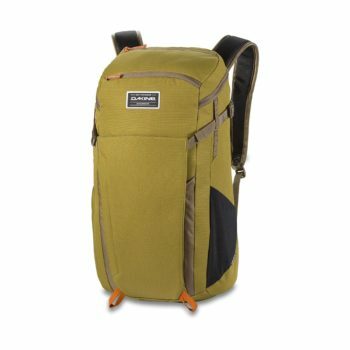 Carry straps on the front for carrying extra gear. Comfortable and breathable airflow straps and back panel, with waist and sternum straps that feature a safety whistle. Made from 100% 200D bluesign approved nylon ripstop. 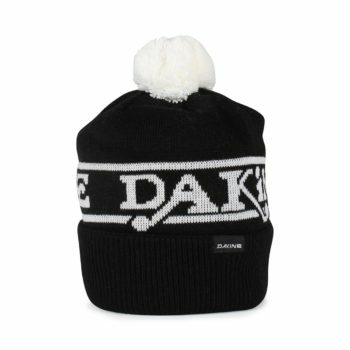 The Dakine Da Team beanie is a premium pom style roll cuff beanie, giving a timeless style from a fine knit jacquard make-up, featuring Dakine branding around the crown. 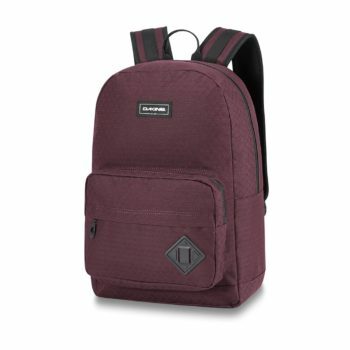 The Dakine Women's Mission Pro backpack is a brilliant all round pack whether your trekking through the snow with your board or skis, out on a hike or going cruising through the city, this bag has everything for you. Front easy access organiser pocket with zippered closure, able to fit a snow tool or shovel. Vertical board straps, also with diagonal ski carry system. Built-in rescue whistle on sternum strap. Padded back, shoulder and waist straps. Made from 100% 420D Nylon Ripstop. 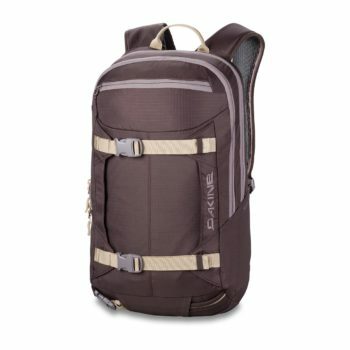 The Mission 25L backpack by Dakine is super organised bag with lots of pockets to allow for even the busiest lifestyles. There is a roomy main compartment with a padded iPad sleeve and a dedicated laptop sleeve that can hold most 15" laptops.